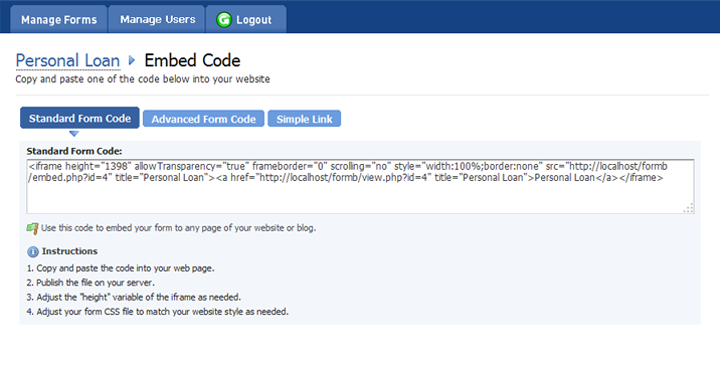 Formb helps us to create the most beautiful and elegant forms on the web. It is very useful for the persons need form building. 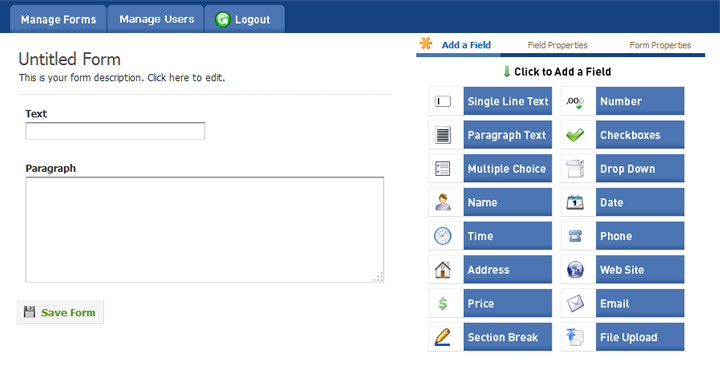 It allows form builders to create forms very easily using drag and drop interface method. 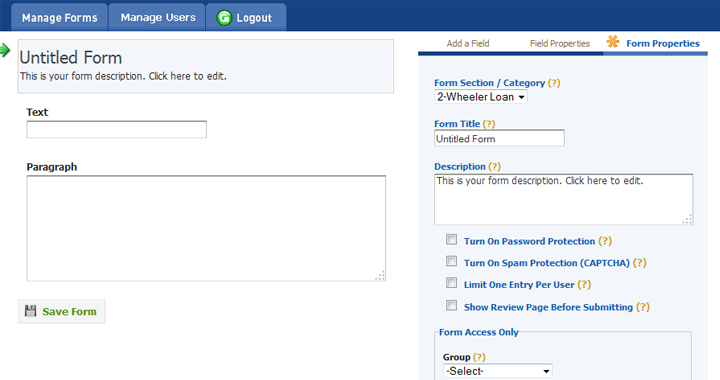 This forms are used for business needs, survey, poll, online application faq, interview forms, schools, colleges, etc. 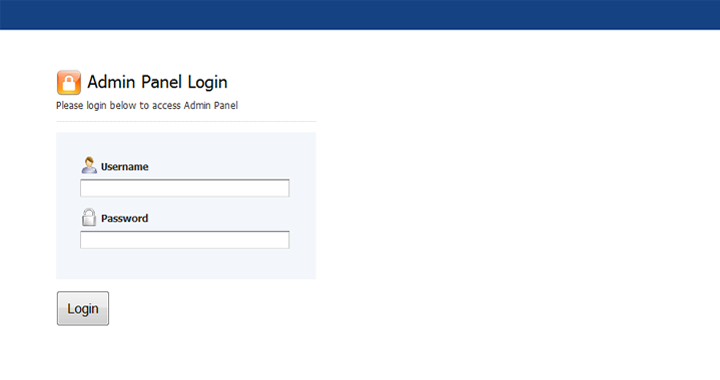 It uses visual theme editor. 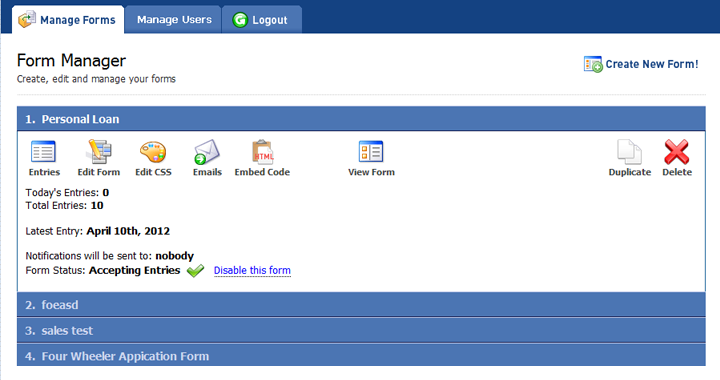 We can create multi-page forms, mobile forms. 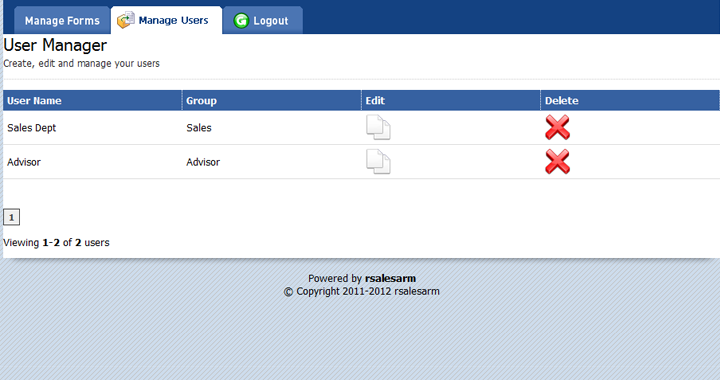 In backend it deals with the user management system.